The Bending Branches Slice Hybrid Kayak Paddle gives you a light weight paddle with all the durability you demand. The Slice Glass Hybrid features an injection-molded nylon blade, reinforced with fiberglass on a carbon shaft - a fantastic combo! Whether you are out for a recreational paddle or using advanced paddle strokes, the Slice paddle is an excellent choice. The Slice blade shape is ideal for high-angle paddling. This is an absolutely stellar paddle. I had the Slice fiberglass version that weighs 11 oz more than the carbon version. The weight of this carbon version in 230 cm is 30.65 oz. (I checked in on my digital scale) It is a feather weight paddle. It weighs less than many paddles twice the price. It is a perfect blade shape for a moderately high angle paddler. Very stable with no flutter. My only complaint is the shaft is a bit rough for my taste. After 3 or 4 hours of paddling, my hands are a bit raw. Some will like the extra grip. I'm going to add some shrink wrap to take care of the problem. Great paddle. Light and stiff. At 30 grams this paddle is as light as the more expensive bb angler ace. Great paddle. I like the carbon shaft - it seems to be temperature neutral. I also like being able to shift between feathered and non- feathered paddling. 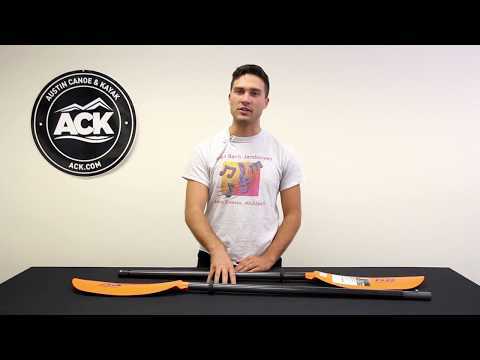 this is a light, easy to use high angle paddle for very fast and strong paddling. noticable difference over aluminum rigidity. i use this primarily for my hybrid SUP (Nalu 11') and love how fast even the weight of the 11' plastic boat cuts through Potomac River currents. Small shaft is a huge plus for us gals with small hands! This is a nice paddle, an upgrade from my original aluminum shaft. It is, however, a wet paddle. The shape of the base of the blade lets water drain off before it reaches the drip grommet. If you are a high angle paddler, you will have water down your arm. The only solution is to lower your stroke. I do like the light weight. I and my family have owned 2 Bending Branches paddles, both of wood and carbon/fibreglass construction. This one is still of the same quality, although I was sad to see that the fibreglass blade was replaced by a nylon one. One frustrating item was the advertising sticker on the blade. It sticks like mad, and you need a solvent to take off the leftover glue on the blade. Where are the electrostatic stickers when you need them? Worth every dime. Light, well designed and tough enough for a clutzy 12 year old to drop, repeatedly. Great paddle for the money. Lightweight, strong blades & good grip on the shaft. Nice bright hi-vis orange blades. For under $160, its really tough to beat. forth time out with this paddle.Its like a good friend in the canoe with me.with this paddle wind and current I buck them just for fun now.Hard to work up a sweat with this paddle.I was also lucky to have Kate as my contact, she knows of what she speaks. i really like the lightness of the paddle and the hi-vis orange blade color on a busy waterway is a good idea.the carbon shaft has a good feel.im very happy with this paddle. I had used a carbon 220 at a local dealer - what a difference! I chose the 230, as it just 'feels' more comfortable. Believe me, these paddles are worth the extra money. My shoulders, arms and wrists noticed the difference right away. NO ONE ships faster, or has better prices than ACK! Thanks! The Bending Branches Slice Hybrid Paddle is a great paddle. No complaints! I've now paddled with it 3 times. Very comfortable with low swing weight. It makes the difference between being sore after a long paddle and not being sore! Highly recommended for the price. I have been using the Bending Branches Slice Hybrid Paddle for fishing and have nothing but good things to say about this light weight paddle. Love the paddle. It is lightweight and just what I wanted. Light weight sturdy, just what I wanted. Q: we need a paddle with a small shaft but there is no option to choose small shaft.....?